Our story began in 1974 when owner and founder Patrick Maglario started Olympic Pools. At the time Pat was a parts manager for Ford with a background as Director of quality control for General Instrument. His entrepreneurial spirit and a chance encounter with a gentleman in the industry sparked his idea to begin installing pools in Cape Breton. In the early years Olympic Pools was a small team of 3 people and Inground pools were the main focus of the business. We still service many of those pools built back in the day. We've had the great privilege of having 43 year long friendships with many of those original customers. There were few pools built in the area at that time. Pat's inclination to start a pool company in Sydney was also fueled by fond childhood memories of learning to swim down polar bear. As a young boy living in Ashby his father and he would take the bus on a hot summer's day and off to the beach for a swim. He loved the idea of building a beautiful pool for a family so they make such memories right in their own backyard. In years to come the business would grow and In ground pools became tremendously popular. Pat would continue his career in the Automobile industry as co-owner of then Eastland Chrysler. The pool business grew slow and steady through those years and by then Above ground pools were gaining popularity making it even more affordable to own a pool, Jacuzzi had come out with the original 'spa in a box' ...what we now call a self contained hot tub. By 1988 Pat sold the dealership and put all his energy into growing his pool business. The business now warranted a retail store. For more than 20 years Olympic Pools had a seasonal location in the Mayflower Mall. These were exciting years in the industry, years of great change and Pat embraced all pool industry education and new technologies. Always looking to bring the latest and greatest the industry offered to his customers. The commitment and desire is the same today. You will see how it carries through the entire Olympic Pools team. His dedicated employees are top in their field and receive the very best of training in the industry. In 1989 Pat joined IPG to bring his customers the best products at the best value. IPG remains the largest buying group of professional dealers in Canada today of which we are one. Today and for more than a decade our year round location is at 288 Welton Street. Our customers lovingly refer to us as a boutique pool store. While our retail location is...well...on the small side it is filled with knowledgeable, warm, friendly staff. We have grown to a team of 20+ employees and we warehouse over 6000 square feet of pools, spas, equipment, and supplies in Sydney. With 43 years and thousands of pools under our belt, we are more excited than ever about what we do. 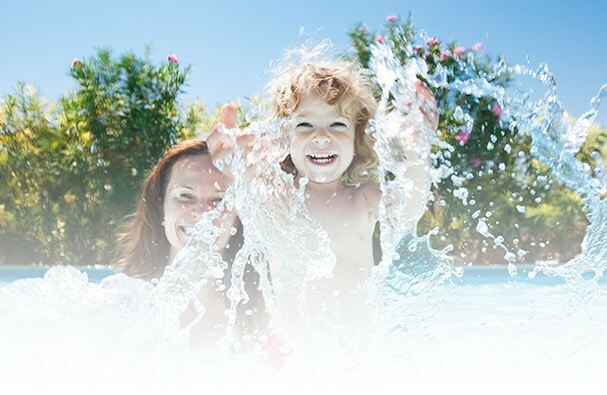 When you hire a company to build a pool for your family we imagine your criteria is Credibility, Experience, and Value...you can count on us to deliver on all fronts. Around here it's still service like it used to be...personal and professional.